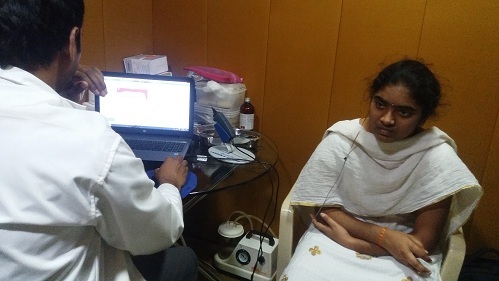 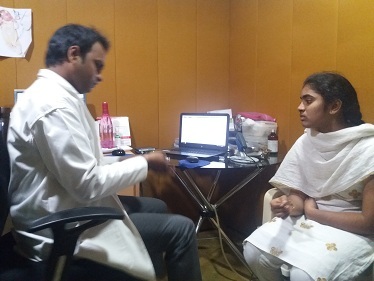 Bighelp donated hearing aid to Vandana Linguntla studying PUC 1st year at Rajiv Gandhi University of Knowledge Technologies, Nuzvid Campus. 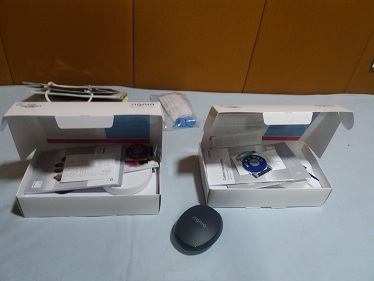 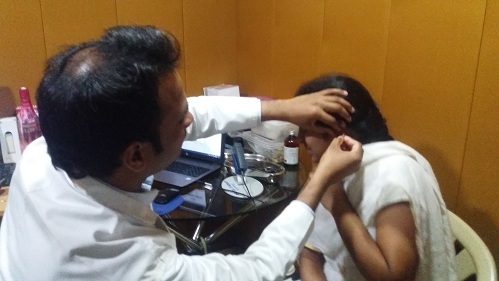 This Hearing aid provided collaboration Helping hands and Bighelp. 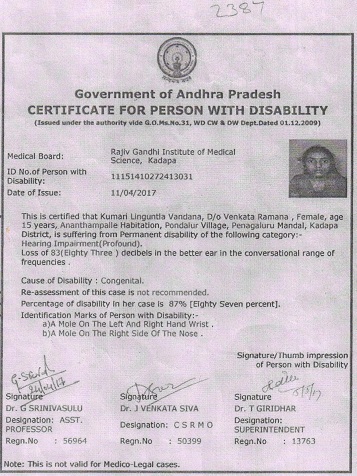 Vandana is a hearing impaired girl. 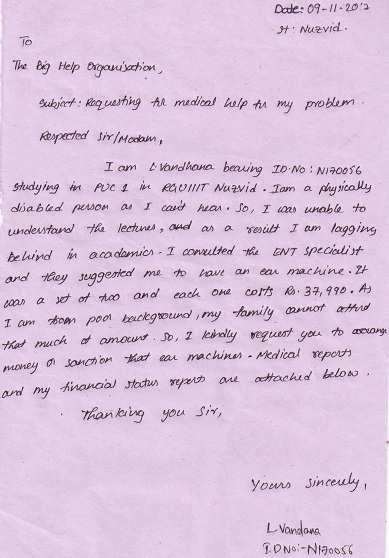 She was unable to understand the lessons and is lagging in studies. 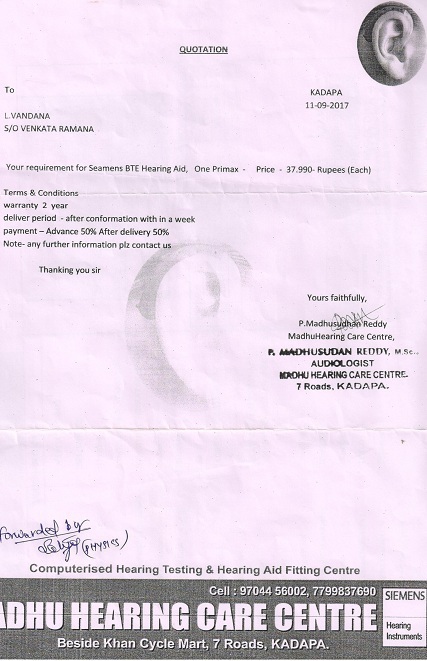 Due to her financial situation she is not able to buy the hearing aid. 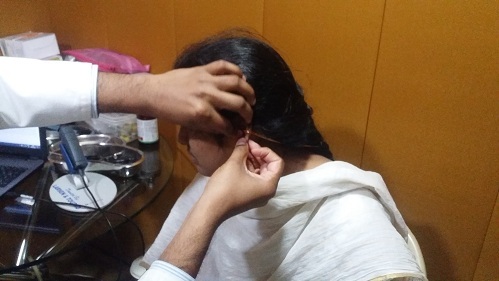 Hence she requested Bighelp to provide hearing aid.